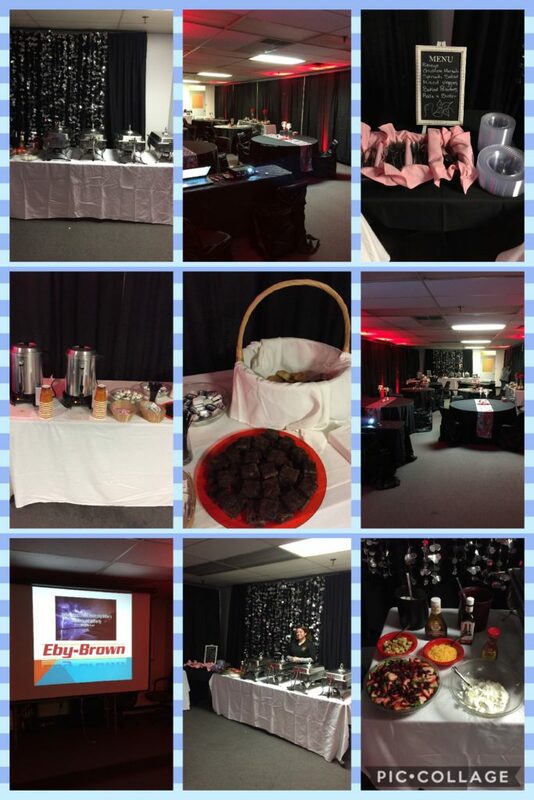 Eby Brown - Rose Catering II Inc.
Today has been an amazing day!! We have be honored to spend the day with the team from Eby Brown. Their first event got started at 4am then the second at 11am and final at 7pm. 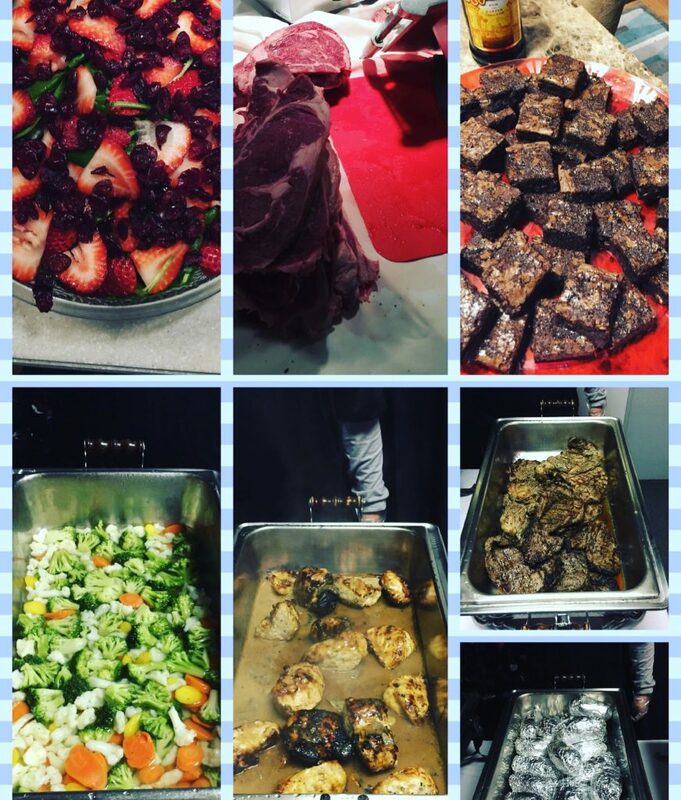 Their menus consisted of freshly grilled Ribeye steak with a very thick cut, Chicken Marsala, Mixed vegetables, Baked potato, Spinach tossed salad with fresh strawberries, Dinner rolls and our finest Kaluha chocolate brownies! Eby Brown and Co are definitely easy to cater for as their faculty is cozy and their staff is beyond pleasant. We look forward to many more events with them. I have been planning events for over 17 years and I must say Rose Catering shoes are hard to fill. Not only did they come to our company 3 different times for 3 different shifts but they started at 4am!! They were on time, their dispositions were friendly, they were prepared and the chef was A1. It was a long day for them but they continued to be professional, on-time and the food was excellent each and every time. 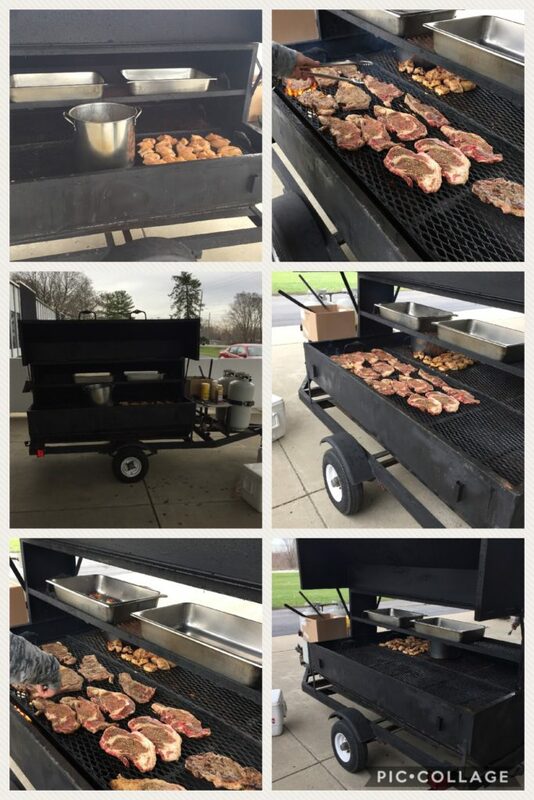 Every single guest had nothing but great things to say about the service and food….unheard of! I HIGHLY recommend Rose Catering. Give them a try and I guarantee you will not be disappointed! Thank you for the outstanding recognition, we were honored to have served you and your staff and we are so happy that everyone was happy with our service and our food! We look forward to many more events with you. Thank you again!